An 11 in X 17 in poster promoting Equal Exchange Fairly Traded coffee, tea and chocolate. 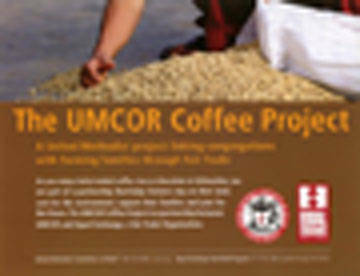 The UMCOR Coffee Project is a partnership between UMCOR and Equal Exchange, a Fair Trade Organization. Free for shipping and handling.